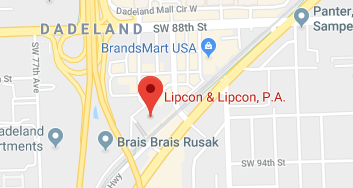 David W. Lipcon, of Lipcon & Lipcon, P.A., in Miami, Florida, was hired by the parents of a 19-year-old girl who was killed by a drunk driver. Christine, a college student home for vacation, was driving to her parent’s home in Coral Gables when a car ran through a red light at an intersection, crashing into her, killing her instantly. The driver who ran the light had been drinking at a local bar. He surrendered at the scene and was charged with DUI Manslaughter. His insurance carrier refused to tender his insurance policy limits of $100,000.00 to the family claiming the traffic light was not red, and that he had the right of way, in spite of being legally drunk. The family then hired Lipcon & Lipcon to represent them. David Lipcon, who has over twenty five years of experience in wrongful death/personal injury claims, was able to successfully obtain a settlement for the parents, of $2.75 million over the policy limits. The case was settled during Mediation when Lipcon brought in a team of bad faith and accident reconstruction experts.